Two things in life are certain. Death and Taxes. Death isn’t something we like to think about. Most of our lives we spend trying to avoid the subject. The Scripture says, “Out of the mouths of two to three witnesses shall every word be established.” Yesterday I was reminded about death three different times due to something that I had read. The first reminder came from a very moving article by a popular blogger known as “Jollyblogger.” The article is entitled “What if you only had one month to live?” For Jollyblogger, the question isn’t abstract. Jollyblogger has been diagnosed with cancer and he doesn’t know how long he has to live. Now he’s taking the time to think about the ultimate issues. The second reminder came from Philip Yancey’s book Finding God in Unexpected Places. I just received the book yesterday and, lo and behold, the first chapter is about death. Coincidence? Maybe. Maybe not. Yancey’s insights about how so much of American culture is designed to avoid the inevitability of death is definitely worth the read. I’d like to be able to say that at the end of my life. Perhaps the Holy Spirit is telling me something. Perhaps He’s telling us all something. “Muslim attackers set on fire about 40 Christian homes in Korian village, Toba Tek district in Punjab Province on Thursday night, many including Christian children and women are feared burnt to death,” Pakistan Christian Post reported. Sources in Toba Tek district, which is also the district headquarter told Pakistan Christian Post (PCP) that on Sunday night Muslims were searching for one boy in a a large gathering of a Christian wedding ceremony; they accused that the boy accused had burnt down pages of the Koran (Quran) – the Holy Book of Muslims. Though the Christian and Muslim elders in the village defused the tension on clarification of the Christian youth that he had not burnt pages of the Quran, the Muslim mob came back on Thursday night at 9:00 p.m. calling upon the Korian Muslims from Mosque’s loudspeakers asking them to gather and teach a lesson to “infidel Christians” who they said are protecting a boy accused of blasphemy on burning the holy pages of Quran. The sources said the nearby villages also made same announcements from mosques and Muslims gathered before homes of Christians in large numbers. 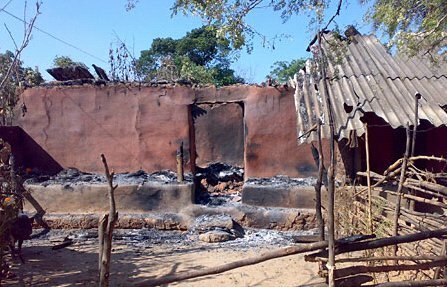 Shouting “Allah Oh Akbar,” – Allah is great – “Kill infidels” and the Muslim mob started setting on fire homes of Christians. As it was night, the Christian children, women and men with fear locked their doors to hide inside and many are feared death inside their homes, sourced told PCP. PCP said when news of attack on Christians came to the District Police Officer in Toba Tek, he ordered deployment of police and Fire Brigade but Muslim mob blocked roads by lying on road. It is second incident of burning homes of Christian in Punjab province when Muslim mob on accusation of blasphemy attacked village Bahamin Wala in district Kasur on July 1, 2009;, at that time no lost of lives was reported unlike this time. <a href="“Muslim attackers set on fire about 40 Christian homes in Korian village, Toba Tek district in Punjab Province on Thursday night, many including Christian children and women are feared burnt to death,” Pakistan Christian Post reported. Guess who’s been racially profiled? Did the same thing strike you? If Colin Powell could be racially profiled while he was the national security advisor to the president of the United States, what does that say for the countless other black Americans that claim they have been racially profiled? Shouldn’t we take their claims a little more seriously? So what’s the deal with Jonah’s worm? I’ve been thinking about the story of Jonah lately. If you’ve ever attended Sunday School or seen the Veggie Tales movie, then you know the basic outline of the story (minus the fish slapping of course). Jonah is a prophet to the people of Israel. God tells Jonah to go to Nineveh and prophesy against the city. Instead of obeying God, Jonah decides to go the other way and take a ship to Tarshish. While on the ship, God sends a life threatening storm and the pagan sailors assume it must be because of some grave sin committed by one of the passengers, so they inquire to their gods by casting lots, and lo and behold, the lot falls on Jonah. Jonah realizes that he has sinned, so he recommends that the sailors throw him overboard, which they do and the next thing you know Jonah gets swallowed by a giant fish and spends three days in the fish’s belly. After Jonah gets spit out on dry land, God speaks to Jonah again to go to Nineveh and this time he obeys. Jonah goes to Nineveh, warns them that God will destroy the city in 40 days, and the entire city repents with fasting, sackcloth, and ashes. 1. But Jonah was greatly displeased and became angry. 2 He prayed to the LORD, O LORD, is this not what I said when I was still at home? That is why I was so quick to flee to Tarshish. I knew that you are a gracious and compassionate God, slow to anger and abounding in love, a God who relents from sending calamity. 3 Now, O LORD, take away my life, for it is better for me to die than to live. 4 But the LORD replied, Have you any right to be angry? 5 Jonah went out and sat down at a place east of the city. There he made himself a shelter, sat in its shade and waited to see what would happen to the city. 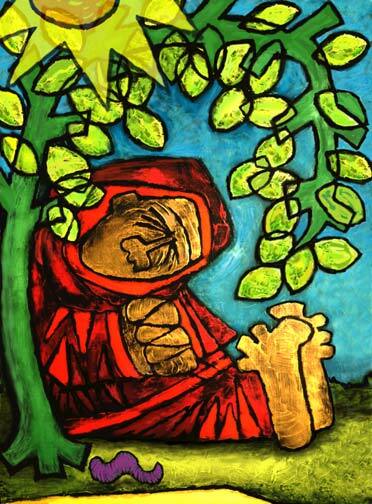 6 Then the LORD God provided a vine and made it grow up over Jonah to give shade for his head to ease his discomfort, and Jonah was very happy about the vine. 7 But at dawn the next day God provided a worm, which chewed the vine so that it withered. 8 When the sun rose, God provided a scorching east wind, and the sun blazed on Jonah’s head so that he grew faint. He wanted to die, and said, It would be better for me to die than to live. 9 But God said to Jonah, Do you have a right to be angry about the vine? I do, he said. I am angry enough to die. 10 But the LORD said, You have been concerned about this vine, though you did not tend it or make it grow. It sprang up overnight and died overnight. 11 But Nineveh has more than a hundred and twenty thousand people who cannot tell their right hand from their left, and many cattle as well. Should I not be concerned about that great city? Here are a few questions I’d love to get some feedback from my readers on. A. From the story, what do you think God was trying to teach Jonah by sending a worm to eat up the plant? B. What other choices did Jonah have in responding to God? C. Can you relate to Jonah and his attitude towards God and towards the people of Ninevah? Keep in mind that the people of Nineveh had brutally oppressed Jonah’s people in the past. Obama’s secret plot to destroy Catholic social teaching. Really?? I was looking for material to post today when this video was sent to me via e-mail. This one’s almost too easy. Watch first, and then I’ll comment. Sounds like a slam dunk doesn’t it? The video implies three things. 3. In order for Obama to push his Satanic socialist agenda, he has to bypass the leadership of the Catholic Church and build alliances with far-left fringe minority groups within the Catholic church. As to the first suggestion, that socialism is Satanic, I’ll let the reader decide that, but before we jump to the conclusion that premise two and three are gospel truth, take a look at this article in USA today about the current Pope Benedict’s economic sympathies. Benedict writes, “The market is not, and must not become, the place where the strong subdue the weak. The pope’s views here are “to the left of Obama in terms of economic policy,” particularly in calls for redistribution of wealth, says political scientist Thomas Reese, a Jesuit priest and senior fellow at the Woodstock Theological Center at Georgetown University in Washington, D.C.
Now here are the Pope’s own words according to his latest encyclical on economic policy. •Labor must be safeguarded after years of rampant market forces leaving citizens powerless in the face of “new and old risks” and without effective trade union protections. My point here is not to deify socialism, but to say that Christians shouldn’t be propagators of false hood. A lot of Christians will watch this video and buy into it hook, line, and sinker not because not because it’s rooted in truth, but because they want to believe it’s true. They want to believe that the Pope agrees with them so much that they’ll never bother to check the facts to see if he actually does. Of course, there are some significant differences between the Pope and Obama on issues such as abortion and gay marriage. But this whole idea that Obama’s calls for “redistribution of wealth” is foreign to Catholic social teaching is patently false. If premise two and three are true, apparently the Pope hasn’t received the memo. 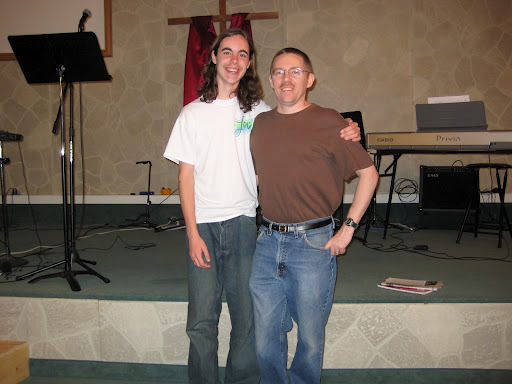 I’ve known Pastor Tim O Brien for several years now, including before his family, and in particular his son Levi O Brien became immortalized in the hit documentary Jesus Camp. I’ve preached at Pastor Tim’s church more than once and we’ve had a few friendly debates on this blog. Our similarities and our differences has produced a bit of an iron sharpens iron relationship over the years. 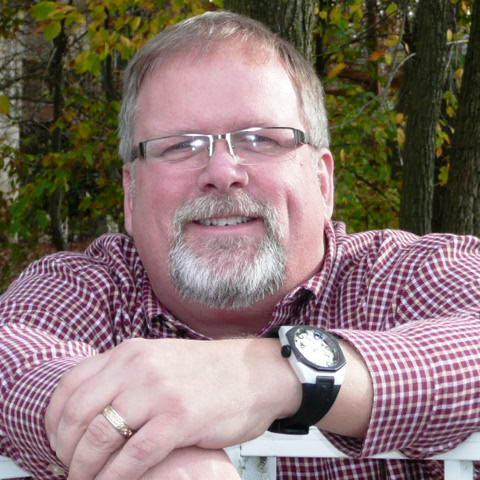 So I thought it might be nice for my readers to get a sense of Pastor Tim’s passion for ministry in his own words,unfiltered by the secular media. Here are Pastor Tim’s responses to my inquiries. Question: Tell me about how you and your family got involved in Jesus Camp. Answer: Our church youth were at a Kids in Ministry conference (a ministry led by Becky Fischer which teaches children the supernatural works of Jesus). The film crew that produced Jesus Camp was there, although we didn’t know who they were. One of the co-producers experienced a dramatic healing from chronic back pain when my son Levi prayed for her. After that, they were drawn to our ministry and our church kids as subjects of their film. Question: What has been the effect of Jesus Camp on your family and on your ministry? Answer: Although the film was not edited in our favor, many people saw through the bias and were impacted by the passion of the children. We have tons of stories of lives, churches, and youth groups radically touched by the film. That opened many doors for us. As a result we have been able to spread the message (that youth can minister at a very young age) both nationally and internationally. The open doors we walked through after Jesus Camp have resulted in a steady opportunity for ministry to the Church concerning youth. Ministry Today magazine ran an article highlighting five youth ministries across the country. Ours was one of them. Question: What has Levi been up to these days? Is he still planning for future ministry? Answer: Levi is so passionate for Jesus, he is often ready to burst. He preaches in various settings with the emotion of Tommy Tenney and the rallying cry of William Wallace. His brother Luke shares the same fervor. Their daily prayer times are filled with “loud cries” and energy for Jesus. Despite what the press said, Levi has no desire to be a pastor, but he and his brother preach meatier messages than most pastors I know. Since age 8 Levi has had a longing to minister in India and has made one trip already. Question: You have been a vocal advocate of training young children to flow in the gifts of the Holy Spirit. Tell me the affect this has had on your church and on the children in your church. Answer: Literally I can ask my youth conduct a service top to bottom (music, preaching, altar call, etc.) with a greater anointing than 80% of the charismatic services you will ever see in America. I never even touch the mic. This has come from years of training them and expecting from them. There is no indication biblically that Jesus did not expect children to preach, heal, raise the dead, get visions and words of knowledge, and pray and fast. Over the years, we lost a few families who could not get away from the prevalent entertainment-driven mentality of children’s ministry. The families who have stuck it out, however, have reaped huge blessings. Question: What has been the focus of your ministry lately? Tim: Since 1996 the focus of our ministry has been to gain and protect the Presence of the Lord. Everything we do revolves around God’s Presence. Our goal is to have a congregation that is 100% responsive to Jesus, young and old alike. Our ministry has been greatly impacted by World Revival Church (www.worldrevivalchurch.com), which grew out of the Smithton Outpouring. Recently, we have been involved in the opening of a Prayer Center in our community where prayer, worship and ministry goes on for a good portion of the week. Question: What do you consider to be your life message? Answer: Our message is that the Church in America and most of the world is mis-focused on initial salvation and Heaven. The Bible is focused on discipleship and the display of God’s glory on earth! We believe that the greatest event in human history is yet to occur. It is the culmination of the ages when what Jesus did for through the cross and resurrection will be fully manifest in a world-wide revival ushered in by a powerful praying Church that carries the stature of Jesus. I have to admit that I had harbored some pretty negative stereotypes of Nigerians before my trip last week, and I consider myself to be a person that works hard to fight negative stereotypes against entire groups of people. Even so, my impression of Nigeria before actually going there was that it’s a nation of corrupt politicians, e-mail scammers, and a church steeped in witchcraft and extreme prosperity teaching. In my defense, some of the stereotypes came from my Nigerian friends and from watching Nigeria movies in the past, but even so, I should have known better. The problem with stereotypes is they put walls between people, and they allow people to think they know someone without actually taking the time to get to know the person. I have a feeling that the vast majority of people don’t fit the stereotypes placed upon them. Whether they be stereotypes of religion, race, or political persuasion. 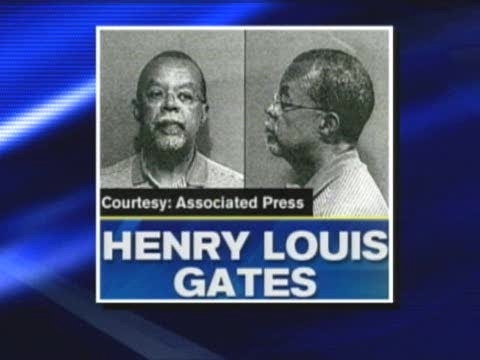 So let me just say in light of the recent unjust arrest of Harvard professor Henry Louis Gates. Not all Nigerians are crooks. Not all African Americans are robbers. And not all white cops are racist. Having said that, I think that racial profiling is a huge problem and needs to be addressed. While we address the problem, let’s not forget that unjust stereotypes come in all shapes, sizes, and colors. Vastly unreported in mainstream media is the fact that Jesus is appearing to Muslims throughout the world in dreams and visions, and many are choosing to follow Him as a result. When I was in Senegal, I met more than one former Muslim that decided to follow Jesus because of a dream or a vision. Even my Muslim neighbor knew about the phenomenon. This is one of the more remarkable stories out there. Psalm 18:28 You, O LORD, keep my lamp burning; my God turns my darkness into light. Steve Smith has been a friend and colleague for years. I grew up under his preaching at Life Christian Church. He now works with a ministry called Global Messenger Service and is actively traveling the world and raising up leaders for the next generation. I asked Steve a few questions about his life and ministry. Here’s what he had to say. you normally do when you travel to a foreign country? A. I have been a team member with Global Messenger Service for the past 5 ½ years. I travel internationally between 7 – 8 times per year conducting pastors and leaders seminars, speaking in churches and doing humanitarian work. We help provide for a girls home who have been saved from infanticide in India. We also provide gifts on a regular basis for a boy’s jail in India. As well, we partner with Jack & Sherry Harris, (President of Global Messenger Service) in providing laptop computers and video IPODS with a video Bible School. We travel to India, Singapore, Malaysia, Brazil, Indonesia, Costa Rica, Nicaragua, Mexico, Senegal, Vietnam, Austria, and Papua. A. It was a huge transition. However now on this side of that decision, I can’t imagine not making that choice. It basically came down to me searching my heart and uncovering the priorities that I wanted to spend the rest of my life doing. Those were, writing, speaking and going to the nations of the world to raise up leaders. I am privileged to be doing all three of those now. Q. What motivates you to do what you do? [Steve Smith] I would have to answer that with seeing people who have no hope about life and watching them feel refreshed, lifted and loved. I have a raging passion to tell one more person they are going to make it! No matter what they face, no matter how close to the end it seems, they are going to make it. It doesn’t mean everything turns out the way we want it to. But in the end we know that God’s hand was involved and we are now better off than we could ever imagine of being. Q. What is your most memorable moment on the mission field? A. Well I think every trip is the best trip. However, two come to mind immediately; One was going to Borneo island and speaking to a tribe of people who lived as far back as you can get in long houses. The second was the trip we just took to Papua. As primitive as you can get yet we found people hungry for God and that was so rewarding. Q. Tell me about E-Hope. Why did you start it and what kind of response have you gotten? A. E-Hope is a weekly email that I started to do nothing more than encourage people. I found people hopeless around the world. I wanted to do something about that. So I started E-HOPE. It is 2 paragraphs long, I never ask for anything and it is filled with thoughts of encouragement. It is delivered to their email inbox every Wednesday morning. Unless of course you are international it could be that night. I started with 187 names and currently I have over 4000 recipients in 14 different nations! I am working to have the website have a Spanish translation by January 2010 as well as E-HOPE in Spanish by that time as well. Q. How can someone be added to your weekly E-Hope E-Zine? A. You can go to the website www.yourvoiceofhope.com and sign up for E-HOPE or you can send me an email to steve@yourvoiceof hope.com and request to be added to the email list. We do not sell or exchange these names to anyone.